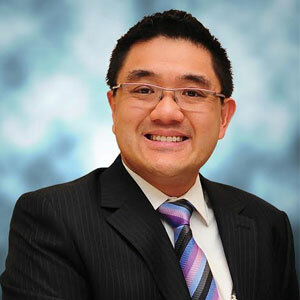 Schubert Chong, CEO, Ahsay Systems Corporation Limited, spearheads the company with a special charisma that makes him an easily approachable leader. This trait of Chong helps him build a unified and close-knit team, which is required to reap success in virtualized environments especially for continuous and coordinated backup—an area where Ahsay displays prowess. Ahsay’s team focuses on Virtual Machine Provisioning for disaster recovery procedures by leveraging VMware’s platform to run backup software and support virtualization. “Our VMware backup software ensures quick, safe, and easy protection for clients’ entire VMware environment,” cites Chong. It enables fast VMware backup, assisting businesses to seamlessly back up their virtual machines to local as well as cloud storage. Ahsay’s VM Run Direct, a disaster recovery solution, allows businesses to run a virtual machine from the backup file almost instantly. Chong explains that when a VM shuts down, the backup VM runs directly from its backup file without the need to restore the image into the original VMware environment. This facilitates swift operations avoiding the need to reinstall the VM and its applications. At present, businesses are in need of speed without compromising on returns due to business downtime while rectifying the VM. With Ahsay’s VMware backup software, organizations can restore their back up quickly and get VMware guest VM rolling again. It is an image backup solution that helps businesses get back on track instantly. "Ahsay Backup is a flexible backup solution for anyone in IT service business. We have integrated Ahsay backup into our managed services since 2005,” Damien Stevens, CEO of Servosity, a client of Ahsay. Servosity has been an Ahsay Partner since 2005 and they deliver a comprehensive suite of kickass backup and disaster recovery software. Their full file and application specific solutions for servers, virtual machines, and endpoint devices allows users to restore from the cloud and boot their devices faster than Katie Ledecky at the Rio Olympics. Partnering with VMware, Ahsay has the benefit of availing the latest VMware platforms without delay. Their close collaboration empowers Ahsay to access VMware’s backup software updates and complete release packages along with detailed knowledge of the changes in the next version. “Our backup developments stay current with the VMware progressions,” says Chong. Witnessing the market’s interest in from on-premises Exchange mailbox to Office 365 on cloud, Ahsay has developed Cloud Backup Suite version 7.9. Recently released, this new version can back up Office 365 mailbox, from cloud to cloud—public or private cloud or to the local drive. “We are continuously providing our customers user friendly solutions at affordable prices,” asserts Chong. Along with these solutions, Ahsay delivers round the clock support services including live support chat. “We also have premium support program, which connects dedicated engineers directly to the customers to solve issues,” adds Chong. To help clients grow and succeed, Ahsay provides on-board training services for customers who are new to the VMware vSphere. “In addition, we also have a self training kit for tech savvy customers, who are well informed of the VMware landscape,” points out Chong. The company invests significantly in honing its staff’s capabilities with the belief that superior talent results in the development of better products. “We want our clients to use our products in the most effectual way to back up the data. We do not back up clients’ data, instead we back up their business,” concludes Chong.